The Supreme Court of India has launched an investigation on the eight major trials related to the Gujarat Massacre. The previous trials examined the roles of the suspects in the massacre, allegations of police involvement and state complicity in the mass murder. However, campaigners and human rights groups have accused the Special Investigation Team (SIT) for serious failures and misconduct. They filed a petition and submitted it to the Supreme Court of India almost two years ago. The petition expressed serious concerns over the proceeding of the trials and SIT’s handling of the investigation. The petitioners alleged that SIT conducted a superficial investigation and failed to maintain its impartiality when it examined the involvement of the state actors in the massacre including Narendra Modi, the Chief Minister of Gujarat. The Supreme Court of India eventually took the allegations seriously and ordered SIT to re-investigate the Gujarat Massacre cases and respond to the allegations before the next hearing that is scheduled for March 15. On 27 February 2002, a Muslim mob allegedly attacked and burnt a group of Hindu activists at the Godhra Train station. The attack left 58 people dead. Allegations raged that Muslims were behind the attack. Consequently, provocations led to the abhorrent violence against Muslims of Gujarat. Hindu mobs systematically sought out Muslim men, women and children and massacred them brutally. Sixteen of Gujarat’s 24 districts were engulfed in the organized armed mob attacks between 28 February and 1-2 March 2002. Sporadic attacks continued to took place until the mid March. The attacks showed very similar patterns; Hindu mobs armed with swords, trishuls and agricultural instruments attacked Muslim mosques, businesses and houses, burnt Muslims, raped Muslim women and children. Eyewitnesses and survivors gave harrowing accounts of gang rapes, mass slaughters, brutal mutilations and burning of bodies. Consequently, over 2000 Muslims were killed, 150,000 displaced and over 800 women and girls raped. Findings of Human Rights Watch (HRW), Islamic Human Rights Commission (IHRC) and various Indian human rights organizations revealed that the attacks were pre-meditated and planned by the senior political figures of Gujarat State including the Chief Minister of Gujarat Narenda Modi, long before the Godhra incident. Additionally, the police and senior members of Bharatiya Janata Party (Indian People’s Party, BJP) were intimately involved in the planning and the execution of the massacre. One of the pressing arguments about Narenda Modi’s involvement in the massacre is the transfer of Godhra carnage victims to Ahmadabad .Before the massacre a controversial decision was taken by Narenda Modi. It was documented by Nanavati-Shah Commission of Inquiry that Narenda Modi ordered all the 58 bodies of the Godhra carnage victims to be transferred to Ahmadabad. Since, only 26 of the victims were from the city, this decision was considered to be a major provocation. On 27 February 2002, immediately after the bodies of the victims were brought to the Sola Civil Hospital in Ahmadabad, the violence broke out. “In almost all of the incidents documented by Human Rights Watch the police directly implicated in the attacks. At best they were passive observers, and at worse they acted in concert with murderous mobs and participated directly in the burning and looting of Muslim shops and homes killing and mutilation of Muslims. In many cases, under the guise of offering assistance the police led the victims into the hands of their killers. Many of the attacks on Muslim homes and places of places of business also took place in close proximity to police posts.” (Narula: 2002, p.5). Victim groups and NGO’s have been campaigning against the failures of the police and CIT investigation as well as the Court cases. They have asked for transparency and accountability for the SIT investigations and argued that crucial evidences that would reveal the involvement of the state actors to the atrocities have been deliberately overlooked. Thus the key perpetrators, especially Narendra Modi have not been brought to justice. After assiduous efforts of victim groups and NGO’s- the Supreme Court of India took the allegations seriously and ordered SIT to re-investigate Gujarat Massacre cases and respond to the allegations against SIT’s conduct of the investigation. The Court expects SIT to report in before the next hearing that is scheduled for March 15. Write to the Supreme Court of India urging them to guarantee that the new investigation will be transparent, and also to further investigate the involvement of the state actors to the massacre thus fulfilling the long denied justice to the victims of the sate sponsored genocide. I am pleased to hear your recent decision on the allegations of SIT’s mishandling of the Gujarat Massacre investigation and the re-examination of the previous court cases. The existence of overwhelming evidence in relation to the involvement of state actors to the Gujarat Massacre is undeniable. The numerous witness testimonies, reports of international NGO’s, (i.e.Human Rights Watch (HRW), Islamic Human Rights Commission (IHRC)) and media coverage have revealed that the attacks were pre- meditated by senior political figures of Gujarat State including Chief Minister of Gujarat. Further, they also pointed out the police, and Bharatiya Janata Party (BJP) were intimately involved in the planning and execution of the massacre. One of the pressing arguments about Narenda Modi’s involvement in the massacre is the transfer of Godhra carnage victims to Ahmadabad .which Nanavati-Shah Commission of Inquiry documented that before the massacre, Narendra Modi ordered all the 58 bodies of the Godhra carnage victims to be transferred to Ahmadabad. Since, only 26 of the victims were from the city, this decision was considered to be a major provocation. 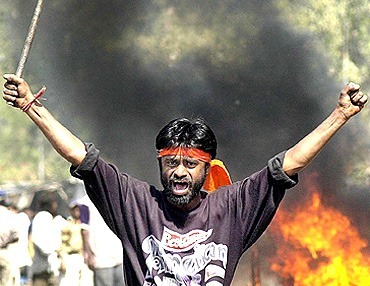 On 27 February 2002, immediately after the bodies of the victims were brought to the Sola Civil Hospital in Ahmadabad, the violence broke out. I believe that the Gujarat Massacre stands as one of the most flagrant crimes committed against humanity and the Indian Justice System is under a colossal responsibility to bring the perpetrators of this egregious violation of human rights to justice. Therefore, I urge your office to guarantee that the new investigation will honour the principles of impartiality and transparency. Since the previous trials failed to provide a fair investigation taking into account all the evidence provided by victim and human rights groups, this is the only way to convince the international community regarding the implementation of the principle of “rule of law” in the Indian Justice System.